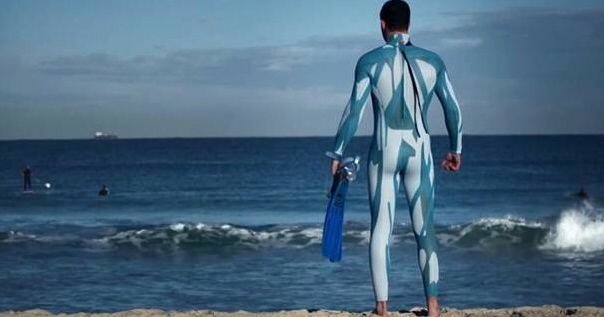 In a live scientific trial conducted in June and reported this week, the University of W.A says it took on average 400% longer for sharks to engage with the patterned wetsuits that contained the “SAMS” technology when compared to an ordinary black wetsuit. The trial result, which may very well spell the end of the era of the black neoprene wetsuit, showed that it took an average of 90 seconds for the sharks to engage with the black neoprene wetsuit but took an amazing 5-6 minutes for them to engage with the wetsuit that contained Shark Mitigation System’s disruptive colouration patterning. The significant extra time could even be the difference between life and death for a diver who could potentially have up to 6 valuable minutes to make an escape in the event of an encounter with a shark who cant quite get a handle on whether he is edible or not. Previous trials of the technology have not been able to achieve enough shark engagements to provide a statistically valid sample size that could pass scientific muster. 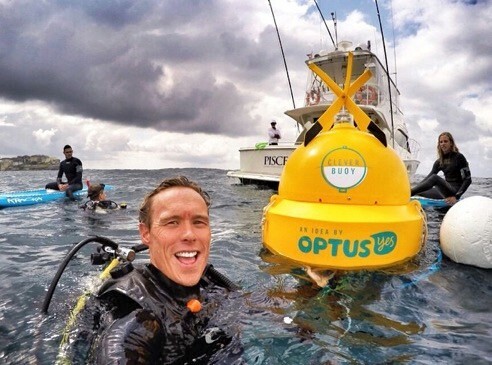 Professor Shaun Collin of the Oceans Institute at The University of Western Australia says however that the 111 shark engagements achieved in the most recent trial are enough to provide a statistically valid sample that is capable of satisfying the scientific community that the trial was extensive enough to provide reliable results. Shark Mitigation Systems market strategy is to license their wetsuit pattern technology to manufacturers of wetsuits around the world and take a slice of every wetsuit that is sold in a market that is worth billions of dollars globally. With scientifically valid results such as these, they just might manage to turn the traditional wetsuit market on its head – particularly if their licensees can turn out a SAMS wetsuit for about the same price as a black neoprene one. It is now difficult to see why anyone would choose black neoprene over SAMS if they can achieve cost parity. It might even be arguable that employers such as commercial diving companies or even recreational diving operators might have a duty of care to suit their people up in SAMS wetsuits instead of black neoprene now that the results are out. Maybe the creators could come to Ballina and test it for us. The simple ideas are always best. 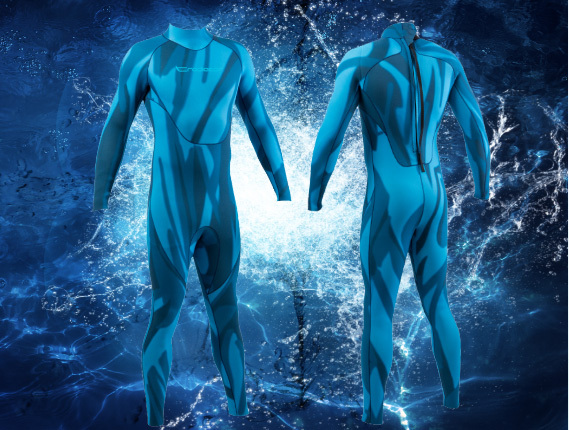 For decades we have been making wetsuits that look almost identical to the sharks main food source; seals. Solution: Change colour and pattern. Brilliant? 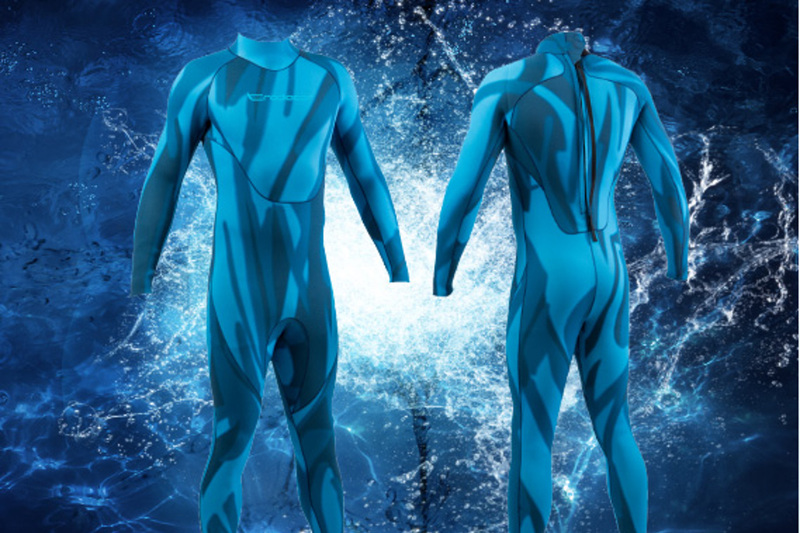 These suits may allow divers to visually blend in to the environment, however their use for surfers or any other surface activity is completely nullified by overhead/ambient light. I think its dangerous to suggest these results will make any tangible difference on shark bite statistics. Those primarily affected will be immune to its suggested protection.